It's really easy to edit images within the Schudio CMS, there's an image editor built in. The most useful things to do are probably Rotate, Resize and Crop your images, but there's loads more features too. Images can be edited from within the File Manager, this is located in the Embed Codes section. 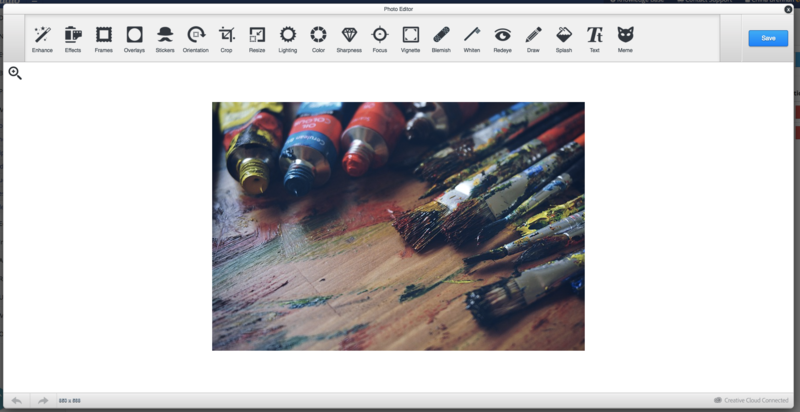 Browse for the image you want to work on, and click the blue pencil button to edit it. All edits are non-destructive and don't alter the original file, a new copy is made and saved in the same folder. Click Orientation to rotate an image. The options for rotate and mirror will appear. When the edits have been made click the blue "Apply" button. Then click the blue "Save" button to save a new copy of the image. Click the Resize button to resize an image.The width and height measurements of the current image are set to the current image dimensions. These dimensions can be changed, and as long as the padlock button is locked the aspect ratio will remain the same. The padlock can be unlocked, but this is likely to result in distorted images, so is not advised. When the edits have been made click the blue "Apply" button. Then click the blue "Save" button to save a new copy of the image. Click Crop to crop an image. The crop options will then appear.There are two methods of cropping, fixed measurement and visual. The visual cropping can be done by clicking the grey dots that appear on an image and moving them around, moving the points will automatically change the values in the custom box. To crop via fixed measurements select the aspect ratio from the pre-defined options or enter the size to crop to. The best option is a combination of both methods, entering the required size (ensure "Lock Dimensions" is ticked) and then move the visual crop box to select the section of the image to be cropped to.